Resumes are an important part of a job application, so it’s best to spend some time looking at resume examples to figure out the best formats for a resume, and choose the most suited one for you. 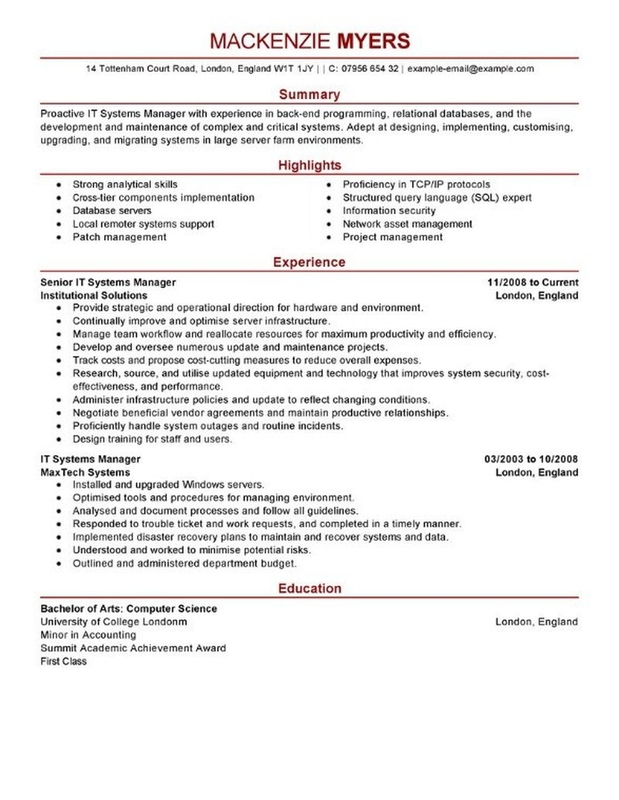 A large amount of resume examples for careers related to IT can be listed in the article. These examples include resumes for engineers, IT support, software programmers, software engineers, support desk, web designer, etc. People usually don’t read the entire resume through and only study around half of the resume before stopping to see if they should proceed or not. So, it’s best to have your best qualities and experience presented in the top half of the resume. 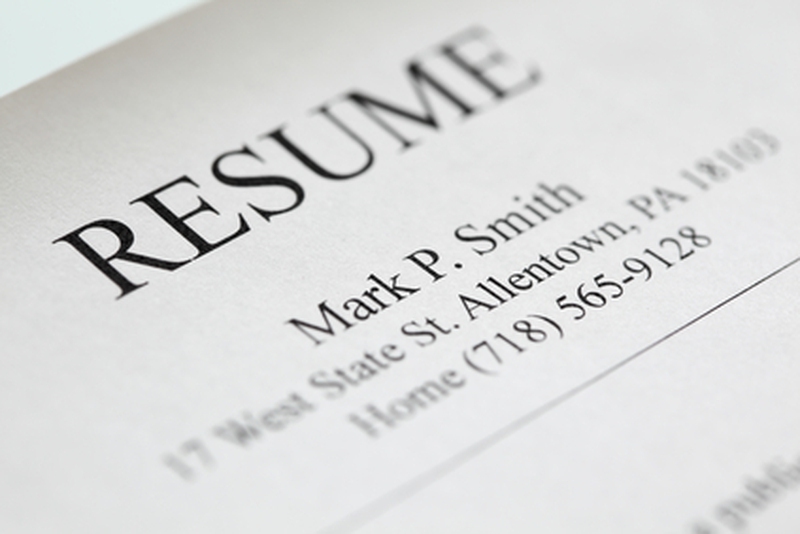 The length of your resume depends on your experience. If you are just starting out and create a 4-page resume, then no one will take you seriously; however, if you have 20 years of experience and submit a one-page resume, then people will be puzzled as well. Try to keep your resume around 2 and a half to 3 pages at best. Technical summaries are great as they enable individuals without great technical knowledge and only know certain keywords to find them easily. With the first person to check out your resume usually being an HR worker, a well-written technical summary can really help you stand out. There should be clarity in the dates for which you have worked at each of your past companies. You shouldn’t just mention the years but also the particular month when you joined a company and when you left it. Mostly, prospective employers want to know the time for which you have been unemployed and there is no way you should hide such information from them. When writing descriptions of your experience at each firm, you should give a general summary of your position along with specific examples or achievements, which helps the recruiters know both your work and its impact on the company’s overall growth. Long paragraphs can put people to sleep while short sentences may seem too simple. So, it’s best to use bullet-lists when appropriate. Phrases like ‘participated in’ and ‘was a part of’ are used a lot in resumes though they don’t tell whether you were the team leader or a part of the team or just on the fringes. Words like ‘managed’, ‘led’ and ‘developed’ can create a much better impact. Where to place your education details depends on whether it’s your selling point or not. If you graduated from a highly reputable school or have an advanced and relevant degree to the job you are applying for, then it should be present in the top half. However, it’s better to put it at the bottom if you have experience details to share. People mention their ‘Interests’ in resumes all the time even though it’s hardly necessary. If you really think that your interest would intrigue the recruiters then mention it for sure, but it’s best to keep the section short and not include any activity which might be seen as offensive in any sense. Having more than just one version of a resume isn’t a bad idea and works if the jobs you apply for range from managerial roles to simple contributor jobs. This obviously doesn’t mean that you should write a resume for every job that you apply for! A common mistake seen in various IT Resumes is the mention of proficiency in software like WordPerfect 5.1, DOS, Ami Pro and Windows 3.1 which are now outdated. Such programs should be omitted from the list when you update your resume. You should only keep early software on the list if the job application requires proficiency in it. All the small things affect the decision made by the employers. Many people make the mistake of adding distinctions between verbal and written skills even though spoken or written words are all considered verbal. The use of ellipse is very common between the names of software or programming languages to create separate space for each one. Similarly, periods are also very common when writing a list of items in a paragraph. Both of them make the resume look visually poor. Using a list remains the better option. Spelling mistakes plague IT resumes as well, which give a poor impression to any prospective employer about your attention to detail. Mistakes like writing Hewlett-Packard for Hewlett-Packard or writing Photo Shop for Photoshop should be avoided. Server responsed at: 04/26/2019 4:27 a.m.